Happily married mother of three, Cecilia Fitzpatrick, stumbles across a dusty envelope in her attic addressed to herself, stating “to be opened only in the event of my death”, written by no other than her beloved husband, John-Paul. After confessing to her husband that she found the letter, he urges her not to open it under any circumstances because he was embarrassed about what he wrote years ago. However, Cecilia can tell that John-Paul is lying and must have something to hide, so as curiosity got the better of her, she ripped open the letter. John-Paul had a secret – one that would ruin her family and those around her – but now that Cecilia had opened the letter, she was involved. There was no going back. Could she stay silent to protect her family, or was she going to confess her husbands deep, dark secret that would ruin the lives of those she loves the most? I don’t even know where to start with this review… just, wow! The moment I started reading this book, I couldn’t take my eyes off the page. I was unaware of everything going on around me because I was so consumed in this novel – In fact, I was consumed after reading just the blurb… I was eager to find out what the secret was! The book begins by showing the background of three separate families. As the story unfolds, each of the families are joined together and connected in some way or another, just like a puzzle. I really liked this idea. It kept me hooked from the very beginning and I got a sense of satisfaction when I discovered how little bits of the story connected the families together. You don’t actually find out what the hidden secret is until about a third of the way through the book, which I loved! Even though I really wanted to find out immediately what it was, it built up a huge suspense which made my jaw drop which I thought was so thrilling! As many people know, my favourite genre is chick-lit, so in many parts of this book I found myself saying “oh my gosh, no way! ?” out loud due to elements being so unexpected. I adored many of the characters in this book. I felt a lot of sympathy for Cecilia for what she was going through, yet she was being very strong and patient towards her three daughters. They were pretty loveable and the way their family was described sounded like a typical family household. I actually felt a lot of sympathy for the two women in the other families too. Tess had just found out that her husband had fallen in love with another woman – her cousin! Whilst Rachel from the third family was a widow who still had unanswered questions about her daughters death. Eventually each of the women’s separate stories intersect with one another which is really cleverly done! It also flickers from the past to the present throughout the book, which I often find confusing when reading, but I actually was able to follow it really easily with this book. 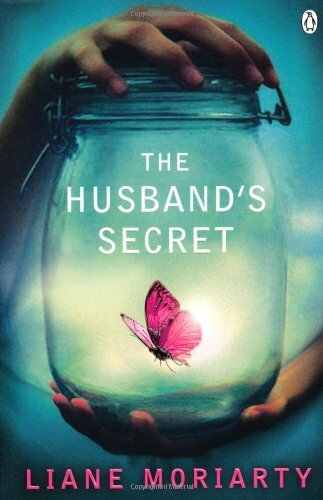 This is the second book of Liane Moriarty’s I have read, and this is by far my favourite out of the two. I found What Alice Forgot quite slow at times, yet I was able to read this one in just over a day. If I didn’t have other things to do, I could have easily read it in just one afternoon. I have to be honest, this has become one of my favourite books, and I am certain that I am going to be reading it again some day. I know I already know the ending so it won’t be as thrilling, but I know for a fact that I will enjoy it just as much. It really was just like a puzzle, trying to tie little bits of information together to guess the outcome. I would 100% recommend this book to YOU! Everyone should give this book a chance because I am certain you won’t be disappointed. I have read a couple of reviews which weren’t overly keen, however if you enjoy the books that I usually read, I am positive that this one is for you too!